Yes, I know Friday is nearly over, but it has been a rough 2 days, yet I am determined that I am going to get Pharmacy Friday started back today! This is one of those terrific things that I stumbled upon strictly by accident and I just have to share it with you all! It started out that I was going to write today about the diuretic properties of Cayenne Pepper, but as I dug deeper into my research, I made some fantastic discoveries and had to broaden this post. I also may embarrass myself a little, but since I think this could help so many people, I will push my pride aside. For awhile, now, I have had 'spells' where I have to get up often during the night to go pee. Sometimes I only get up twice, but other times I am up nearly every hour. And I really hate that disruption in sleep! Then there are spells where I get a full nights sleep and don't have to totally rush in the morning to get to the bathroom. The other night, for the first time in a loooong time, I slept for 7 hours straight without ever having to get up to run to the bathroom. It was wonderful!!! So... I decided to take an extra good look at my activity and diet to see if I could analyze what I might be doing differently from one time to the next. The one thing that was consistent with the nights that I wake up several times, barely able to 'hold it in' until I make the long trek to the bathroom, was my hot chocolate night cap. 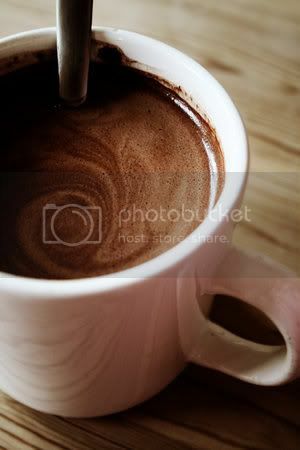 I have consistently noticed that on the nights I sleep all through the night, I haven't had my nightly not cocoa for a few nights. And oh, how do love to wind my day down with my hot chocolate as I check my messages and watch a show or two. You might be wondering what could be so special about my hot chocolate that it could act as a strong diuretic. Well, I make my own hot chocolate, completely from scratch, AND, I have gotten totally addicted to putting several good sprinkles of powdered cayenne pepper into it. I had read somewhere, once, that adding it to hot chocolate would help with pain relief. I tried it and after a week, my nightly hip pain drastically eased up, but we will save that for another post. But even more, I loved the flavor!!! So I was thinking, maybe Cayenne Pepper is also a diuretic. I did a little research and sure enough, it is a great diuretic! Turns out, it is a great diuretic (increasing urination), anti-inflammatory and helps to improve circulation, which would also help rid your body of excess fluid. There is some further great information on it HERE and HERE. But I only put about 8 or 9 dashes of Cayenne powder in my hot cocoa, so I got to thinking that just that surely wasn't running the fluid off of me that well, so I decided to research each of the ingredients in my hot chocolate. Turns out, 3 of the other ingredients in my made-from-scratch hot chocolate also aid in eliminating excess fluid from the body! Himalayan Salt - yes, the terrific flavor of hot chocolate is greatly enhanced by a dash of salt. And then, of course, there are those women like me that occasionally crave our salty chocolate (though I honestly do try and keep it at just a dash). Where commercially processed/created table salt makes your body's cells retain fluid and holds onto it, consuming natural, unprocessed salt (in a reasonable amount) actually regulates the fluids in your body's cells. Next, we have Ceylon Cinnamon. No, I am not talking about the cheap stuff at the grocery store that we have come to believe is cinnamon but really isn't, but the actual, True Cinnamon. Lately I have also started adding a pinch of the Ceylon Cinnamon to my hot chocolate . . . kind of an Aztec Hot Cocoa. It is very good that way!!! I did a little digging on Ceylon Cinnamon and sure enough, it, too, is a powerful anit-inflammatory!!! Wow! You can read even more about it HERE. And next we have our main ingredient, the one that makes my hot cocoa so yummy, Cocoa Powder. I don't mean that cheap, Dutch Cocoa powder stuff. I am talking the actual, 100% pure cocoa powder, such as Hershey's, the one loaded with natural antioxidants. This natural cocoa contains theobromine, which is a mild stimulant that has a great diuretic effect! Cocoa can be such a strong diuretic that if you aren't drinking enough water, you can dehydrate. Amazing! HERE is some more great reading on the subject. Besides holding anti-inflammatory and diuretic qualities, each of these ingredients also has may other terrific health benefits. With all these fluid relieving ingredients in my nightly hot cocoa, it's a wonder I don't end up sleeping in the bathroom! My accidental concoction seems to work every bit as good (maybe even better) than the Lasix I am supposed to be taking. I am now greatly relieved, though, to know that all my potty trips aren't due to something being wrong with me, but in fact, are due to something completely natural that I am consuming and actually helping to improve my health. Thank you for taking the time to read our post. I hope you will get some benefit from it! Anna, can you share your homemade hot cocoa recipe? My mother used to make it from scratch, but used processed ingredients. Kristina, I don't mind sharing at all! But give me a day or two if you don't mind. I make mine by eye balling my measurements. I have made it so many times, I works nearly every time, but I don't have exact measurements written down. I will try to write them down the next couple of times I make it, then post it back on here.